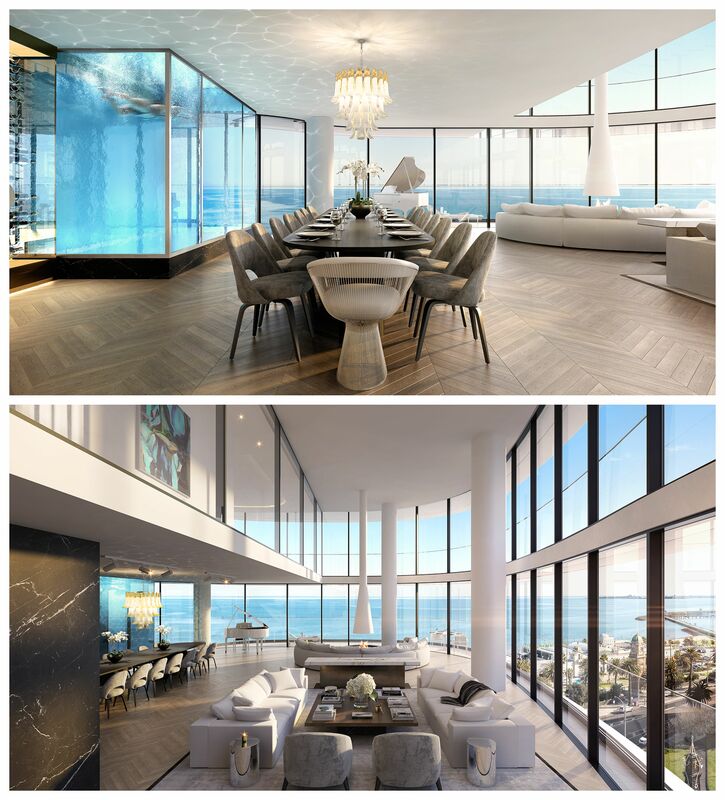 Melbourne’s record for its most expensive apartment transaction has been smashed with the $30 million sale of a two-story penthouse in Tim Gurner’s luxury Saint Moritz development in St Kilda. The seven-bedroom, seven-bathroom sky home, complete with its own two-storey cascading water feature, transacted off-market prior to the development’s public launch planned for June. Melbourne's most expensive apartment buyer is Antony Catalano, who will relocate his family from their sprawling waterfront Melbourne mansion into the luxury apartment. The deal achieved an unprecedented $40,000 per square metre sale price, making the transaction the second biggest apartment sale in the nation. The most expensive was a $40 million apartment sale in Sydney. 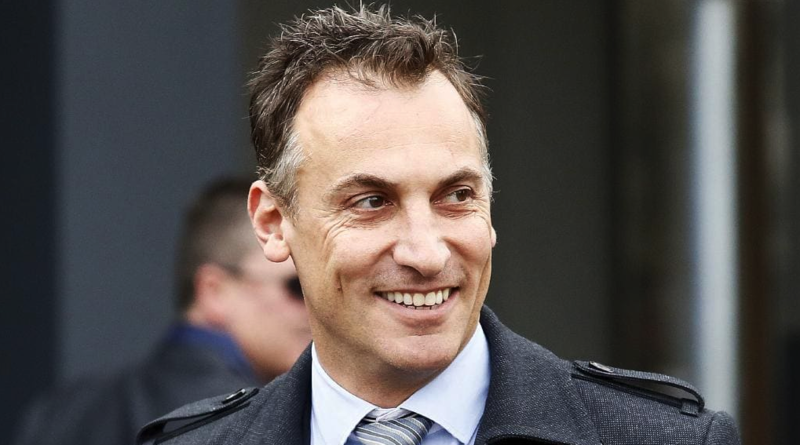 Ex-Domain boss Antony Catalano, and father of eight, has emerged as the $30 million buyer of Melbourne's most expensive apartment. So, what kind of bang do you get for $30 million bucks? The two-storey penthouse is designed over 650sq m internally and 150sq m externally. Offering seven bedrooms, it also comes with a seven-car private garage with direct lift access, four living rooms, an in-home sauna, gymnasium, and two private pools. Design features include the cascading two-storey water feature surrounded by marble-clad walls. There are two internal pools, one that submerges into the lower levels so you can see people swimming from the kitchen (of course...), and another internal pool that submerges into the rooms below (complete with transparent glass so you can be viewed from the lower level). 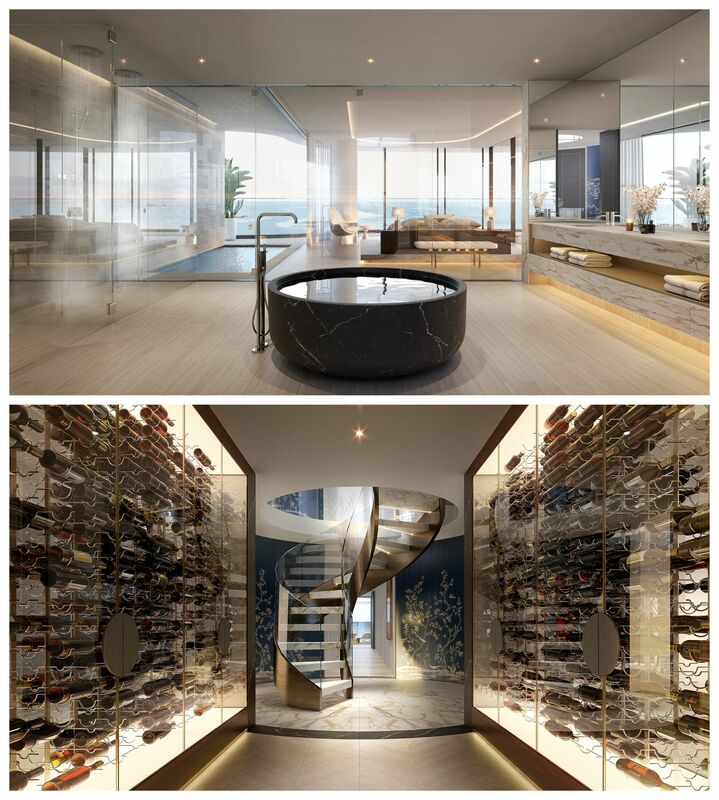 The luxury apartment also comes with a floating fireplace, a spiralled staircase which leads down to the 1000-bottle temperature-controlled wine cellar, and of course a solid Nero Marquina bathtub offering 180-degree water views of the St Kilda waterfront location. The penthouse, complete with pool views. Selling agent chief executive of Christie’s International's Victorian arm Sean Cussell says the penthouse family purchase “challenges traditional thinking on what constitutes a family home”. “The couple will be moving their large family into the penthouse, which is a trend we are seeing more and more as Melbourne families sell their traditional established homes in favour of the convenience, comfort, amenity and security of a modern building,” Cussell said. Developer Tim Gurner said there was no intention of selling the penthouse until the launch. “But once word got out we were swamped with interested buyers – all local Melbourne identities,” he said. 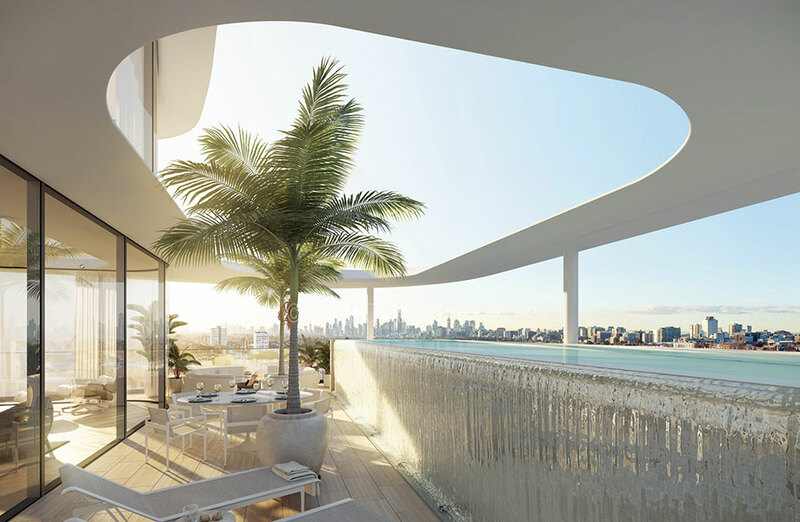 Gurner said his team worked with the successful buyer to design and customise the penthouse with them before formalising the sale which has now been completed. The Catalano's new bath and 1000-strong wine cellar. The 6,000sq m site, located at 14-16 The Esplanade, is owned by Sydney property developer Greg Shand, who partnered with Gurner to replace the existing Novotel Hotel with the high-end residential development. Plans will see it transformed into three, luxury eight-story towers with fewer than 40 apartments per building. Gurner is currently designing another penthouse in the second building that will be priced somewhere around the $25 million- to-$30 million mark. “This will be launched as part of our ‘Penthouse Collection’ prior to the main project launch in June this year,” he said. Saint Moritz will offer 120 private residences comprising two, three bedroom, four, five and six bedroom offerings, with prices ranging from $1.4 million to $30million-plus.